World’s Youngest To Attain GM, 2600, 2700, 2800 and WC (1st Update). Over a year had passed, on 1 May 2012 chessaccount had published the World’s Youngest To Attain GM, 2600, 2700, 2800 and WC and since then there were new comers and some incomplete and/or incorrect data that needed to be fixed and rectified , hence, our 1st major update. 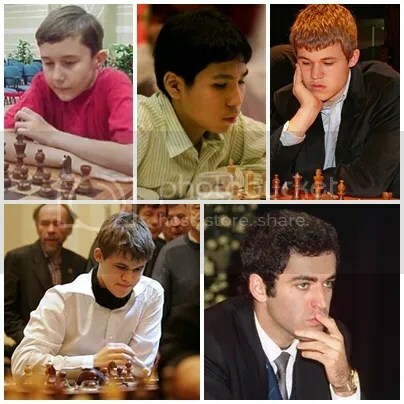 Read more: World’s Youngest To Attain GM, 2600, 2700, 2800 and WC (1st Update).